Divorce doesn’t always have to be messy. If you and your spouse can reach a mutual decision as to how to go your separate ways, you can file for an uncontested divorce. This type of divorce is the one that doesn’t require the spouses to go to trial. From the name itself, uncontested divorce pertains to the lack of disputes or disagreements between the spouses. When you file for this, it means that you and your spouse are able to settle your differences without a judge’s presence. An uncontested divorce can also be granted if one of the spouses files for the divorce that the other one wasn’t able to respond to formally. One of the major benefits of an uncontested divorce is affordability. Compared to other proceedings that require you and your spouse to stand before the court, an uncontested divorce lets you and your spouse to reach an agreement in private. This eliminates the need to pay for anything else. 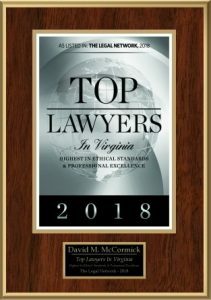 Also, because it’s a shorter process, you don’t have to spend too much on the services of your divorce attorney in Newport News, VA for years. Another benefit is privacy. Though settlements will have to be filed with the local court, those that you and your spouse agree on in private will remain confidential. This ensures that other parties won’t be able to use this chapter of your life against you. An uncontested divorce is fairly faster and shorter than a contested one. Because you and your spouse will decide all the terms, there will be no conflict that could delay the process, allowing you to end the marriage soon and move on. States may have different rules for an uncontested divorce; however, there are three steps that you need to do to fast-track the proceedings. The first one is to file for the necessary paperwork to start the process. Next, you and your spouse must list down all terms and agreements in a documentation. Once you have everything you need, the divorce papers will be finalized and filed with the court. Divorce is already stressful as it is. This is why it’s important to complete it as fast as possible while avoiding possible landmines with your spouse. To help you deal with this, hire a Newport News divorce attorney with enough experience. Lawyers know what to do and understand the process, so it’s always best to work with one.